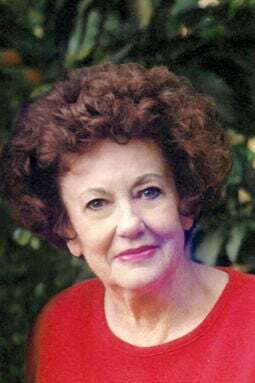 Janice Blakeslee Lindberg, fondly known as Gee Cee, passed away Saturday, Feb. 2, 2019, in San Diego, California, with her daughter, Jayne, by her side. Gee Cee was born in Fremont, Nebraska, on May 22, 1924. Raised on a farm just outside of Fremont, she rode her Shetland pony, Daisy, to country school. There were only seven students in the one-room school. She transferred into the Fremont school system and graduated from Fremont High School. Then she went on to the University of Nebraska- Lincoln where she was a member of Pi Beta Phi Sorority. After graduating from college, she spent two years teaching kindergarten. In the summer between those two years she met her future husband, Jim Lindberg. Jim had just returned from serving in the Marine Corps where he was stationed in the South Pacific during World War II. They became engaged at Christmas and were married June 12, 1948. They had two daughters, Jayne and Jody. Jody died of leukemia at the age of 12. After Jayne left for college, Gee Cee returned to teaching kindergarten. She taught in Washington School and then at Grant. She enjoyed being with the children and the faculty. She never had grandchildren but felt like all her students were like grandchildren. She adored them and had many touching and hilarious stories. Gee Cee was active in Phi Beta Phi Alumnae group, hosting some of their local meetings and parties. She was also a member of Chapter AJ of PEO. Her great-grandmother was one of the founding members of that chapter. She loved playing bridge, played with her friends in Fremont and played some tournament bridge in Omaha. Her interests also extended to the Husker football team and she was a great fan. She had season tickets from the time she was in college to the present. In 2011, Gee Cee moved to San Diego to spend more time with Jayne. They enjoyed exploring all the neighborhoods of San Diego, shopping and trying different restaurants. She made new friends easily there. She was preceded in death by her parents, Eleanor and Wilder Blakeslee; her husband, Jim and their daughter, Jody; and her cousin, Marilyn Semrad. She is survived by her daughter, Jayne Lindberg and Jayne’s second cousins, Cindy Semrad Wattier and Mike Semrad, and their extended families. Gee Cee loved life and her friends! She was a lot of fun and lightened the mood of those around her, bringing all of us joy. If you wish to make a contribution, please consider the American Cancer Society or Keep Fremont Beautiful as Gee Cee was the fourth generation of her family to live in Fremont and she loved it dearly. A celebration of her life will be held at 1 p.m. Feb. 15 at Dugan Funeral Chapel. Rev. Scott Jensen will officiate. Interment will take place at Ridge Cemetery.